He was the son of David Charles Woodbury Jr. and Mehitable S. Russell. 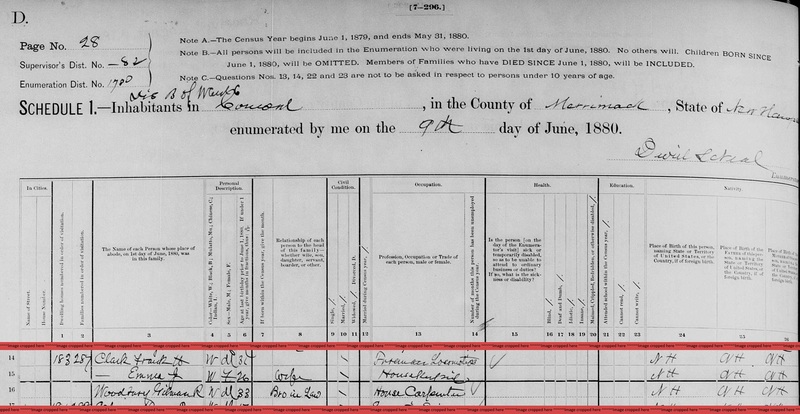 "New Hampshire Marriage Records, 1637-1947," database with images, FamilySearch (https://familysearch.org/ark:/61903/1:1:FLFL-ZNG : 12 December 2014), Elmer E. Woodbury and Florence E. Chase, 04 Sep 1882; citing Concord, Merrimack, New Hampshire, Bureau of Vital Records and Health Statistics, Concord; FHL microfilm 1,001,320. Your Woodbury/Ober Family Web Site, at http://www.woodburyober.com/d10.html citing NH State Vital Records, Concord, NH. Unfortunately, this website no longer exists. "New Hampshire, Deaths and Burials, 1784-1949," index, FamilySearch (https://familysearch.org/pal:/MM9.1.1/FDKX-1LV : accessed 09 Nov 2012), Elmer Ellsworth Woodbury, 29 Sep 1940; citing reference , FHL microfilm 2297323. "New Hampshire Death Records, 1654-1947," database with images, FamilySearch (https://familysearch.org/ark:/61903/1:1:FSVP-2YM : 12 December 2014), David Eugene Woodbury, 22 Dec 1907; citing Woodstock, , New Hampshire, Bureau Vital Records and Health Statistics, Concord; FHL microfilm 2,131,637. "New Hampshire Birth Records, Early to 1900," database with images, FamilySearch (https://familysearch.org/ark:/61903/1:1:FL5C-JYK : 12 December 2014), Amos Scott Woodbury, 17 Nov 1888; citing Concord, Merrimack, New Hampshire, United States, Bureau of Vital Records and Health Statistics, Concord; FHL microfilm 1,001,055. "New Hampshire Marriage Records, 1637-1947," database with images, FamilySearch (https://familysearch.org/ark:/61903/1:1:FLXJ-H6V : 12 December 2014), Frank A. 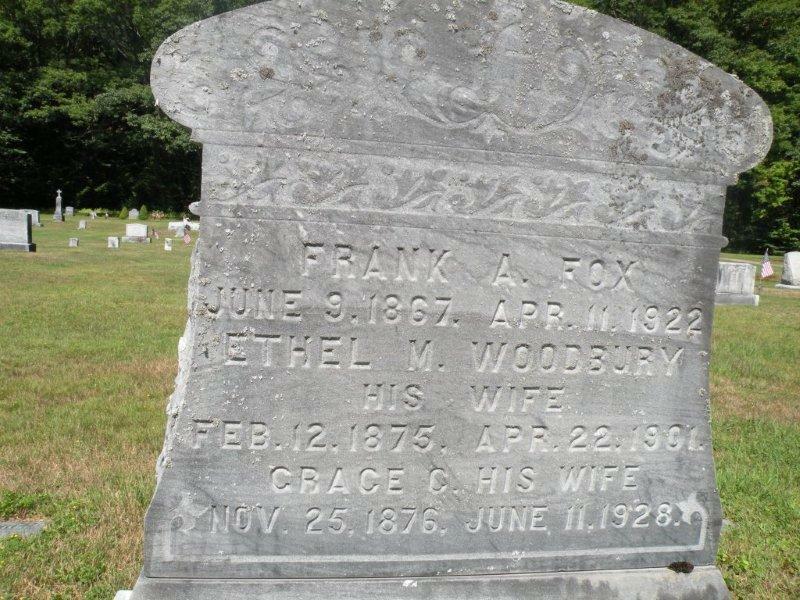 Fox and Ethel M. Woodbury, 15 Jun 1898; citing Woodstock, , New Hampshire, Bureau of Vital Records and Health Statistics, Concord; FHL microfilm 1,000,994. "New Hampshire Marriage Records, 1637-1947," database with images, FamilySearch (https://familysearch.org/ark:/61903/1:1:FL84-GZR : 12 December 2014), Francis C. Woodbury and Mary R. Howland, 11 Nov 1902; citing Meredith, , New Hampshire, Bureau of Vital Records and Health Statistics, Concord; FHL microfilm 2,070,747. "New Hampshire Birth Records, Early to 1900," database with images, FamilySearch (https://familysearch.org/ark:/61903/1:1:FL5C-KSD : 12 December 2014), Frank Henry Woodbury, 10 Dec 1877; citing Woodstock, Grafton, New Hampshire, United States, Bureau of Vital Records and Health Statistics, Concord; FHL microfilm 1,001,055. Your Woodbury/Ober Family Web Site, at http://www.woodburyober.com/d11.html citing NH State Vital Records, Concord, NH. Unfortunately, this website no longer exists. Your Woodbury/Ober Family Web Site, at http://www.woodburyober.com/d8.html citing Soldiers and Sailors of New Hampshire in the War of the Rebellion 1861-1866; (1895) Pg. #689. Unfortunately, this website no longer exists. "New Hampshire, Marriage Records, 1637-1947," index and images, FamilySearch (https://familysearch.org/pal:/MM9.1.1/FLFL-83N : accessed 10 Nov 2012), Gilman R Woodbury and Catharine K Jackman and null, 1871. Record added: Jan 29, 2011. "New Hampshire Birth Records, Early to 1900," database with images, FamilySearch (https://familysearch.org/ark:/61903/1:1:FL5C-KV3 : 12 December 2014), Hazadiah Woodbury, 02 Jun 1765; citing Salem, Rockingham, New Hampshire, United States, Bureau of Vital Records and Health Statistics, Concord; FHL microfilm 1,001,055. 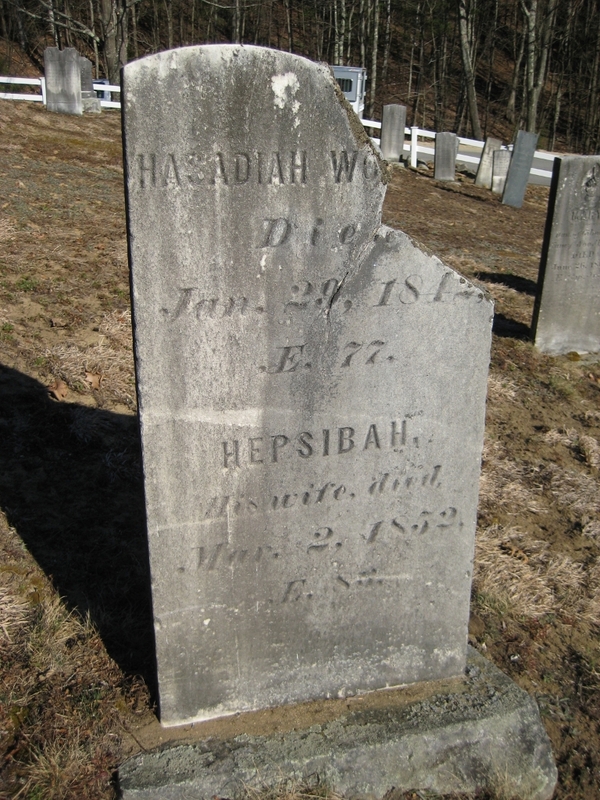 "New Hampshire Marriages, 1720-1920," database, FamilySearch (https://familysearch.org/ark:/61903/1:1:FDG1-QY7 : 31 December 2014), Heyedial Woodbury and Hepzibah Colby, 23 Oct 1788; citing reference ; FHL microfilm 1,001,320. Caleb Stark, History of the Town of Dunbarton, Merrimack County, New-Hampshire, from the Grant by Mason's Assigns in 1751 to the Year 1860, , at https://books.google.com/books?id=Cv7hcQ8-5bIC . Concord: G. Parker Lyon, (1860) , p. 159. George Plummer Hadley, , p. 567. George Plummer Hadley, History of the town of Goffstown, 1733-1920, Vol. 2, , at https://dcms.lds.org/delivery/DeliveryManagerServlet?dps_pid=IE3648245 . Goffstown, N. H.: Published by the Town, (1924) , p. 567. COLBY FAMILY & OTHERS, at http://freepages.genealogy.rootsweb.com/~colby/colbyfamciting FHL Number 1000976; Marriage: Hephsibah WOODBURY, Date: 2 Aug 1827; Recorded in: Birth and Marriage Index for New Hampshire. COLBY FAMILY & OTHERS at http://freepages.genealogy.rootsweb.com/~colby/colbyfam, /d507.html. Church of Jesus Christ of Latter-day Saints. Salt Lake Temple, IGI reference to Endowments for the dead, 1893-1970; heir indexes, 1924-1956; baptisms for the dead, 1941-1970, Salt Lake City: Filmed by the Genealogical Society of Utah, (1959-1979) , Film Number: 184319, Page Number: 1108, Reference Number: 24567. Church of Jesus Christ of Latter-day Saints. St. George Temple, Endowments for the dead, 1877-1970; heir indexes, 1870-1956; baptisms for the dead, 1943-1970, Salt Lake City: Filmed by the Genealogical Society of Utah, (1956-1971) , Film Number: 962005, Page Number: 271, Reference Number: G5672. Church of Jesus Christ of Latter-day Saints. Salt Lake Temple, Baptisms for the dead, 1893-1967; heir indexes, 1893-1960, Salt Lake City: Filmed by the Genealogical Society of Utah, (1959, 1967) , Film Number: 183603, Page Number: 830, Reference Number: 17345. Church of Jesus Christ of Latter-day Saints. Logan Temple, IGI reference to Endowments for the dead, 1884-1970; heir indexes, 1884-1961; baptisms for the dead, 1943-1970, Salt Lake City: Filmed by the Genealogical Society of Utah, (1958-1971) , Film Number: 447781. FamilySearch® Ancestral File™ v4.19, , Submitters: DONALD ALLAN RUSSELL, 16 ACKERMAN STREET, SALEM NH 03079-3484. Your Woodbury/Ober Family Web Site at http://www.woodburyober.com/, d9.html citing NH State Vital Records, Concord, NH. 1880 United States. Census Office. 10th census, 1880 federal population census, Washington, District of Columbia: National Archives and Records Service, ([19--]) , FHL Film 1254765; National Archives Film T9-0765; Page 438D. 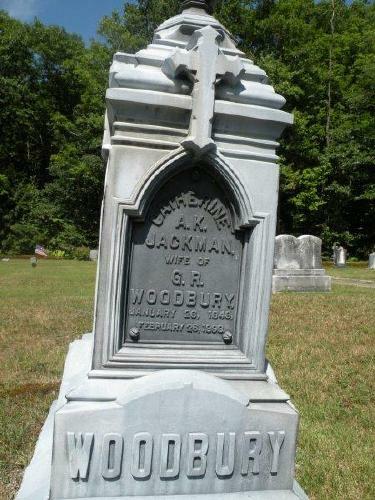 "New Hampshire Birth Records, Early to 1900," database with images, FamilySearch (https://familysearch.org/ark:/61903/1:1:FL5C-K2Q : 12 December 2014), Ida F Woodbury, 09 Jul 1877; citing Thornton, Grafton, New Hampshire, United States, Bureau of Vital Records and Health Statistics, Concord; FHL microfilm 1,001,055.